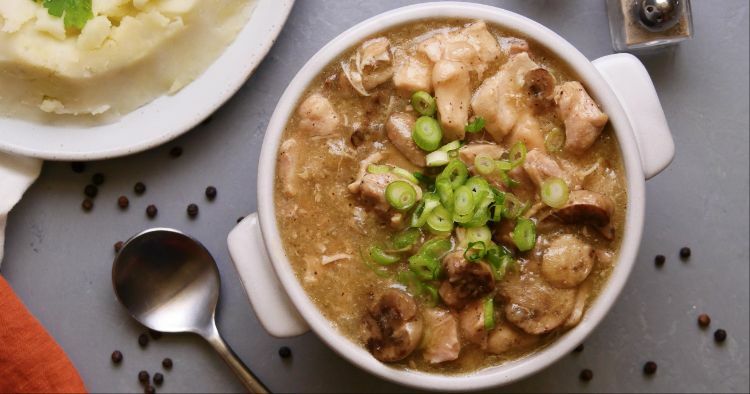 Chicken stew is a fantastic go-to Instant Pot dish. It’s easy to throw together, uses basic ingredients that you likely have already and is both healthy and filling. This version is especially satisfying. Stir in a scoop of sour cream at the end to turn the gravy rich, thick and creamy. 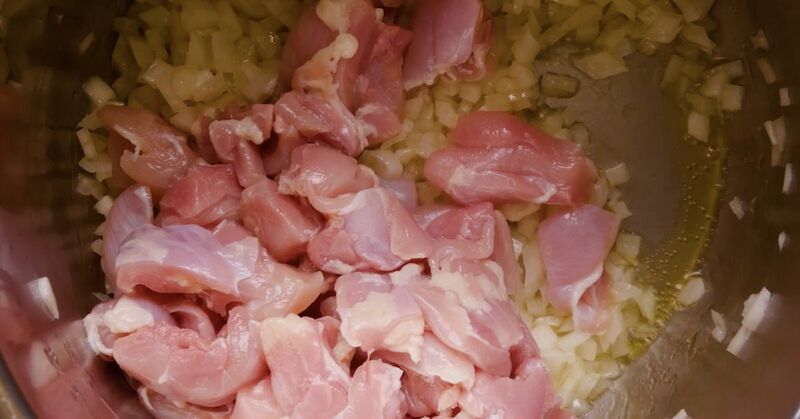 As is, this stew is the perfect comfort food, but you could add diced potatoes with the chicken to make it even heartier. Or serve it topped with buttermilk biscuits for a quick variation on chicken and dumplings or chicken pot pie. There's really nothing better for a chilly evening meal. Heat the oil in the Instant Pot, using the sauté function. Add the onions to the pot and cook, stirring occasionally, until softened, about 5 minutes. Add the chicken, mushrooms, garlic, bay leaf, salt, pepper, broth and mustard, and stir to mix. Turn the sauté function off by pressing the keep warm/cancel button. Close the lid and turn the valve to the sealing position. Choose high pressure and set the timer for 15 minutes. Once the cooking time is up, let the pressure release naturally for 5 minutes, then quick release any remaining pressure. Remove the lid and turn on the sauté function again. Add the cornstarch-and-water mixture and cook, stirring, until the sauce thickens, about 2 minutes. Just before serving, ladle a bit of the broth out of the pot and stir it into the sour cream, then stir the sour cream mixture into the pot. Serve hot. Share this delectible stew on Facebook. You only need a few ingredients to make this insanely delicious post-dinner treat, packed with candied pecans and tart Granny Smith apple.